Dr. Royal Rife found that by generating electromagnetic square waves one can destroy a wide range of bacteria, fungi and viruses and even cancerous cells. The Rife Health Wave Resonator which generates electromagnetic square waves is therefore an electro-therapeutically medical instrument that is ideally suited in the application of resonance ("Rife") therapy. 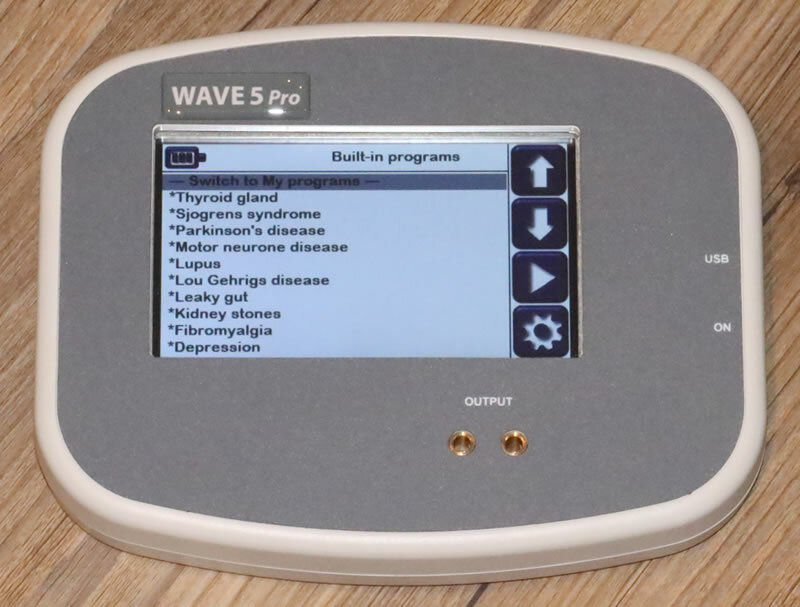 Because of the emphasis of frequencies that combat infections in resonance therapy, the Rife Health Wave Resonator can be used to treat in a complementary manner a wide variety of illnesses caused by infections. It is easy to understand how this works if one considers how an opera singer's voice can shatter a glass. At a certain pitch, sound resonates with the crystalline structure of the glass. As resonance builds, it eventually exerts a divisive force which is stronger than the bonds holding the glass's crystalline structure together. This results in the glass shattering into pieces. Since bacteria, viruses and cancer cells are crystalline, they can be shattered in the same way. All one must do is identify the frequencies which would successfully shatter them. Resonance therapy is rapid, painless, and proven to be entirely free of harmful side effects. Regular sessions of resonance therapy is claimed to strengthen the body's immune system against infectious diseases. Please Note: Treatment with a Rife Health Wave Resonator is not a substitute for proper medical care and diagnosis but offers rather a valuable complementary therapy to current medical remedies and treatments.